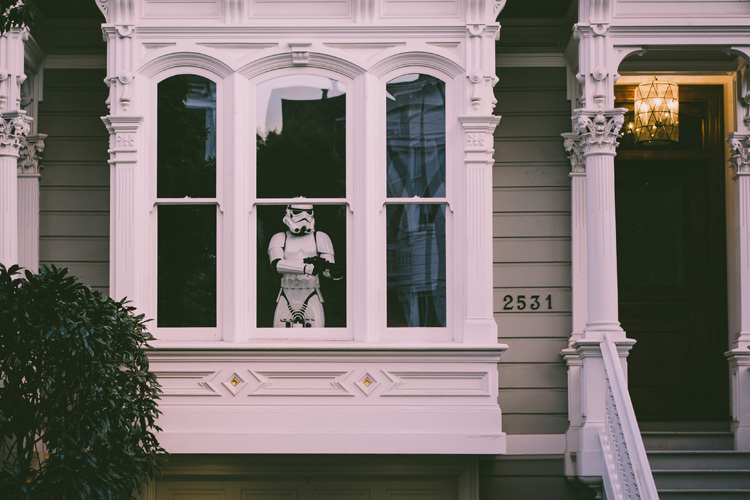 Not everyone has access to storm troopers to defend their homes. Our top home security tips are here to help keep you and your loved ones stay safe. Install deadlocks on all windows and doors of your house. Deadlocks require a key to arm the lock. They are an ideal second lock for a door that has a keyed knob as it’s primary lock mechanism. Hot Tip – have all your locks keyed alike so that you and your family only require the one key for every lock. Minimise the risks involved with multiple key management and control. Place sensor lights at the front and rear entrances to your house or property. Lighting up the entrances to your place is a great way to easily add extra security to your home. Security alarm systems are an effective way to improve the security of your home. Your alarm may be part of a complete access control system or as a stand alone security addition. Install an alarm system for some serious extra security. 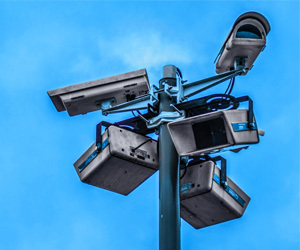 With so many makes and models of security cameras on the market you are sure to find one to suit your needs and budget. Like lots of people you may opt for the fake security camera. The main advantage however of a real security camera is it’s ability to record what it is seeing. This could be something you may want to look at. If for some reason you suspect an attempt on your place or if your neighbourhood has reported any suspicious activity, you might have captured some footage to assist in an investigation. Hot Tip: Don’t activate the flashing light feature – real security cameras don’t have a light. The most important tip of all for home security is of course to arm the locks. Your window locks, the front door, the padlock on the back gate – none of these locks are doing their job to make someone’s life harder to enter unless they have been locked. Please contact Wynns Locksmiths for assistance putting these home security tips to use at your place. Contact us to arrange a free property evaluation and discuss how access control can improve your home security.